Dental cleaning is one of the most important steps in dental care. It helps to preserve oral hygiene and prevent many problems in the oral cavity. Tartar forms out of dental plaque which accumulates at places that are hard to reach or not possible at all, or at parts of the mouth where anatomic structures such as the tongue and muscles of the cheek fail to perform self-cleaning. Tartar is practically “crystallized” plaque which is not removable with a toothbrush or any appliance at home. The rough surface helps further accumulation of dental plaque, hence the growth of a mass that provides habitat to many bacteria. This leads to a continuous inflammation of the gum, the underlying bony structures and periodontal ligaments that ensure the stability of the toot. At early stages, removal of the tartar is enough to stop the inflammation and reverse damages of the gum. But once the jawbone is affected, total recovery by ultrasonic cleaning is not possible. If the inflammation remains for a certain period, teeth may loosen and the patient might lose them. We perform regular cleanings with an ultrasonic device, which can remove most of the supragingival masses with good efficiency. We can also provide a high-pressure sand-blast polishing treatment for a perfect finish of the ultrasonic cleaning. After the ultrasonic and the sand-polishing, we re-polish every surface with rotary instruments such as rubber cups and polishing brushes, to give a final smooth result. It is very important to attend a cleaning at least once every year. 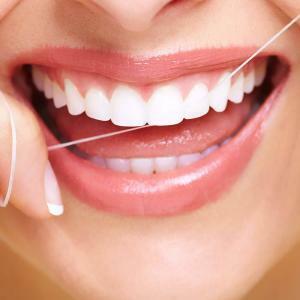 According to the patient’s own abilities to maintain a proper hygiene status, and his or her history of periodontal health, the doctor can advise a more frequent intervention. We kindly ask our patients to acknowledge their doctor’s advice and visit on the recommended time schedule.